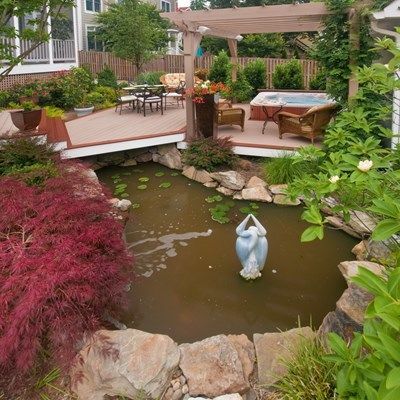 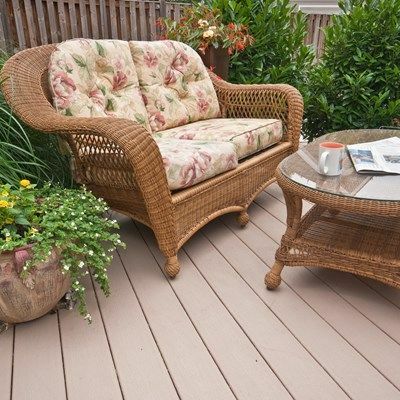 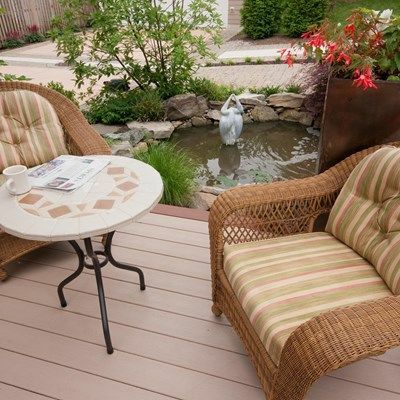 This very small backyard between the house and garage is turned around in a little paradise. 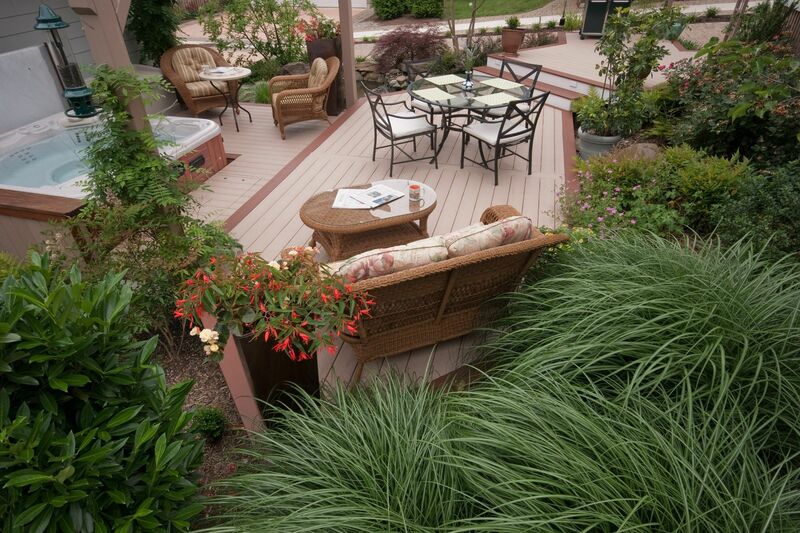 We have a small grill area, dining area and a small relaxing area. 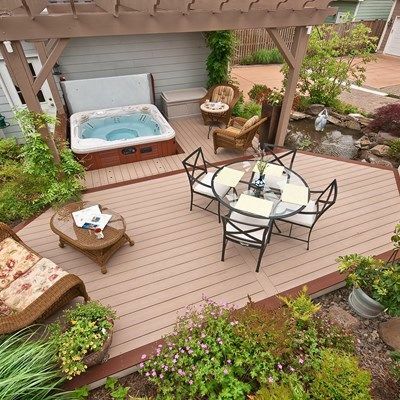 Space is set aside for a hot tub with a pergola. 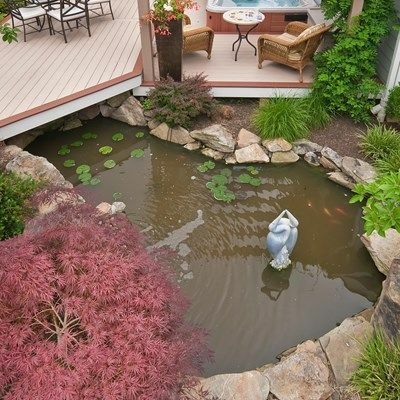 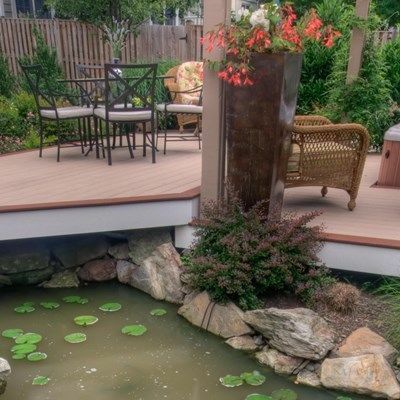 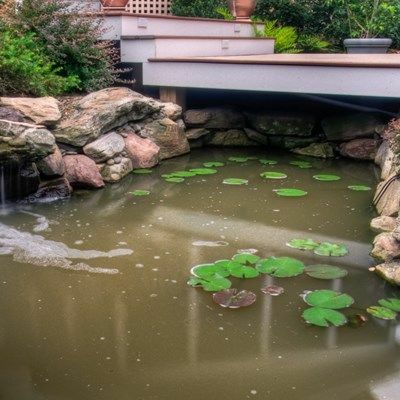 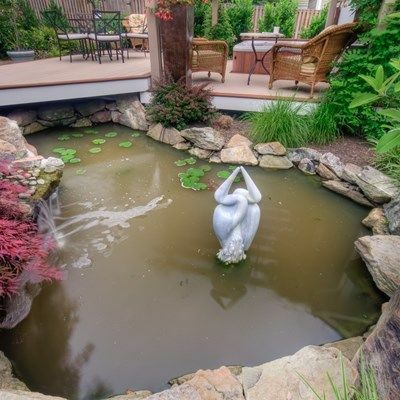 As an added bonus the homeowner wanted a fishpond with a water feature.